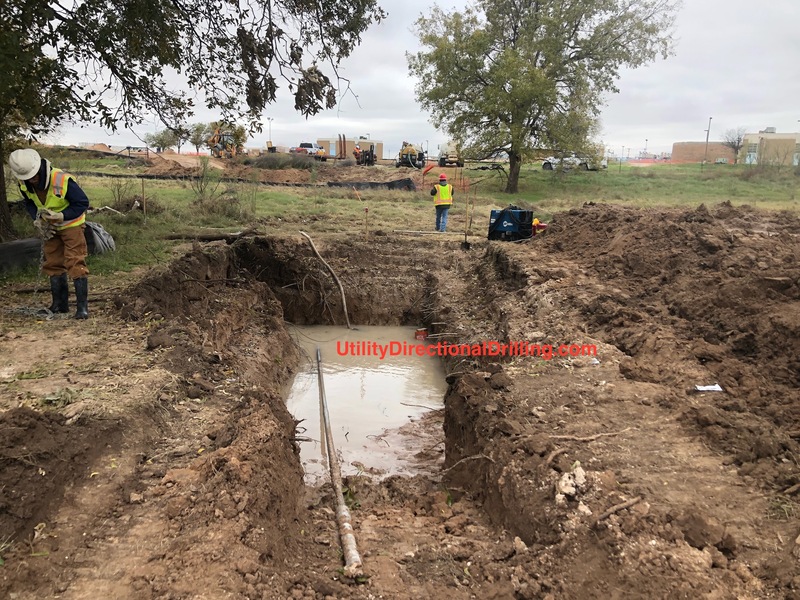 Directional boring in dirt is Utility Directional Drilling specialty! While dirt boring is the most common type of directional boring, drilling in dirt does have its risks – soil displacement and heaving of pavement – to name a few. When designing a project for directional boring it is important to have accurate geo-technical data, sufficient space for the bore rig and support equipment and enough space for laying out the pipe on the other side. 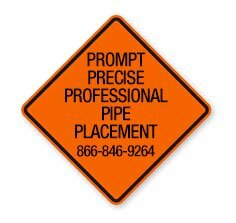 In softer soils (dirt), an angled bit is used and the pipe string is rotated, if necessary, to bore straight. To steer, rotation is stopped, the angle of the bit is aligned to the desired direction and forward thrust is applied. The directed jet of drilling fluid and forward thrust cuts a new bore path. We have successfully bored under golf courses, rivers, highways, and airport runways. Our only requirement is that we can track the drill head. Utility providers have a right-of-way, which is a legal right to access of the property. They must be able to inspect, make repairs and maintain the right-of-way. From time to time these providers might need to clear plants from a right-of-way or remove other items that block access to their lines. In such cases, they will work with the landowner to keep the impacts of their work low. Whether the problem is a tree, a storage shed, a fence, or something else, any item that hinders a right-of-way is an encroachment. Encroachments not only make lines unsafe but they are also against the law. While we more often than not bore in utility right of ways, we have also successfully directional drilled many jobs where encroachments were circumvented. We have drilled and pulled multiple pipe bundles as large as 18 in diameter distances of up 2,000 feet under such diverse terrains as golf courses, creek and riverbeds.